In anticipation of Understanding Affections in the Theology of Jonathan Edwards: “The High Exercises of Divine Love”, Dr Ryan J. Martin goes into further detail on the creation of his monograph. My book is a focused look at how Jonathan Edwards defined affections and other movements of the human soul, and how his understanding of human anthropology was incorporated into his theology as a whole. What drew to you writing about this subject? I was already interested in affections as a category, and especially in the ways older Christians thought about them as a psychological phenomenon. It seems--even on the surface--that Christian thought on the soul's movements have shifted and morphed in recent times. I wanted to understand better some of the older models of thought on their own terms, rather than looking at them through the prism of contemporary categories and assumptions. Finally, the opportunity to study a master theological mind like that of Edwards was itself immensely appealing. How long have you been researching Jonathan Edwards? How did you come to study him? During my Master of Divinity at Central Baptist Theological Seminary in Minnesota, U.S.A., I started reading Jonathan Edwards's Religious Affections, a classic work on Christian affection and devotion. I read just a couple of pages per day, early each morning before starting the day. I really didn't start studying Edwards's thought in earnest until after I began my Ph.D., however. I assumed that everything that could be written on Edwards had already been written, so I looked at my making any worthwhile contribution to Edwards's thought to be a fool's errand. Nevertheless, my doktorvater and friend, Kevin T. Bauder, pushed me to explore more deeply this area of Edwards's thought through the work of the scholar Thomas Dixon. Ken Minkema also encouraged me to continue my work in Edwards's affective thought. What does your book focus on that hasn’t been explored elsewhere? I'd highlight especially three areas of development. My book emphasizes both the way Edwards thought about affections, especially in contrast with other movements of the soul. I pay special attention to Edwards's distinction between "affections" and "passions," showing how he maintained this distinction throughout his career as a pastor and theologian. A second focus is the way I tie those ideas throughout Edwards's greater theological endeavors. I try to show that affections were a perennial concern for Edwards, from his early days at New Haven, to his later writings against the theological progressives of his day. Finally, I make the case that the way Edwards thought about affections has little in common with more recent emphases on emotions found in popular Christian religious thought. What do you hope readers will gain from the book? I hope they'll gain an appreciation of Christian theology, the remarkable genius of Jonathan Edwards, and the necessity of gracious affections for the Triune God. Understanding Affections in the Theology of Jonathan Edwards: “The High Exercises of Divine Love” is available for pre-order now, and is due for release on 15th November 2018! I am delighted to announce that Philip G. Ziegler, Professor of Christian Dogmatics at the University of Aberdeen, UK, has joined the Editorial Board for the T&T Clark Studies in Systematic Theology (TSST) series. Ordained in the United Church of Canada, he has held previous academic posts at Princeton University and the Atlantic School of Theology. He is widely published in the field of systematic theology, ethics and Christian doctrine. T&T Clark Studies in Systematic Theology is a series of monographs in the field of Christian doctrine, with a particular focus on constructive engagement with major topics through historical analysis or contemporary restatement. Last week I had the great pleasure to attend the Sacra Liturgia conference in London. The highlight of the conference itself was the opening address by His Eminence Robert Cardinal Sarah -- Prefect of the Congregation for Divine Worship and the Discipline of the Sacraments. The Cardinal's address was a bold call for the re-orientation of Catholic liturgy back towards God and, specifically, for a call to return to ad orientem worship. This is where the priest faces liturgical east in common direction with the people. The Cardinal looked at the reforms of the Second Vatican Council in Sacrosanctum Concilium and pointed out that many of the implementations of the reforms went too far, and were fuelled by an agenda that was at odds with what the council really intended. This led to an erosion of understanding about what the sacrifice of the Mass is, and what the Eucharist really means for Roman Catholics. It was a deft, and brilliant, analysis. The Cardinal suggested priests begin/return to ad orientem worship ASAP as a crucial step in reclaiming Catholic understanding of the Mass. He suggested the first Sunday of Advent this year, as we turn to 'face the Lord who comes', as being a good time to start. I, for one, hope that this starts to happen as I agree with the Cardinal's take on this. 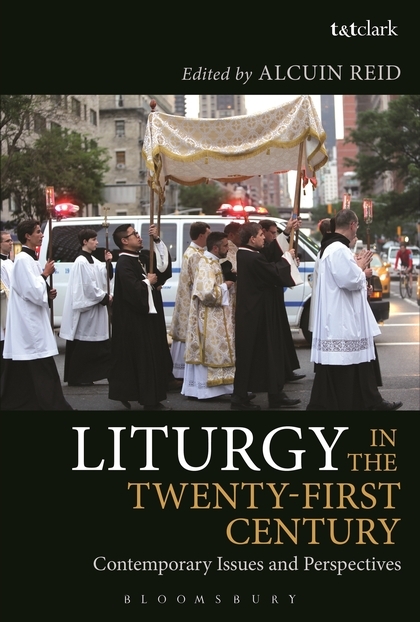 There is also an excellent chapter on the 'youth' and the liturgy, which looks at the phenomenon of the high number of young people who are interested in the traditional liturgy, and questions why this preference is so often dismissed or condescended towards by older generations. Indeed, there is still a prevalent (Blowing in the) wind of people who believe they are experts in liturgy 'to which the youth relates'... despite the fact that their own youth was quite some time ago. To get your discounted copy please order through our website, and enter the code LITURGY20 to receive a 20% discount. Pope Francis offers Mass ad orientem in the Sistine Chapel. The big [and it really is a substantial volume] book was put together by the three editors, who were John Webster’s students – Justin Stratis, Darren Sarisky and R. David Nelson. The title ‘Theological Theology’ has been taken from the inaugural lecture delivered by John Webster in 1997, when he became the Lady Margaret Professor of Divinity at the University of Oxford. 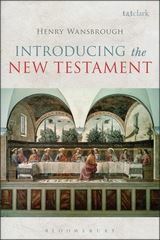 The volume includes essays written by eminent systematic theologians, theological ethicists, and biblical scholars from a wide range of Christian traditions. And all of these contributions express a deep gratitude for Webster's work in the areas of the nature and method of theology, Scripture and its interpretation, Christology, and the reading and use of theological dialogue partners. ‘This rich and diverse collection of essays in Christian doctrine offers a fulsome and fitting tribute to one of the most significant voices in contemporary systematic theology, a scholar and disciple whose dogmatic insight, gracious collegiality, and cheerful witness has inspired and nourished so many over the years. Addressing in various ways the scriptural foundations and central teachings of the Christian faith, the contributions to this excellent volume attend to matters of doctrinal import that have occupied the work of John Webster for many years, and – in the good providence of God – will continue to do so for many years to come.’ Professor Paul T. Nimmo, University of Aberdeen, UK. The resurrection of Christ is believed to mean the salvation of mankind in Christian thought. But how is atonement achieved in this one event? Johnson offers an introduction to the doctrine, giving the reader a unifying vision of the immensely rich and diverse doctrine of the atonement. Castelo presents a collection of working proposals on a number of relevant themes, including cosmology, mediation, the nature and role of Spirit-baptism, and discernment. Nigel Zimmermann presents critical reflections from leading Catholic prelates and scholars on the significance of the Second Vatican Council fifty years after it began. Contributors include Cardinal George Pell, Tracey Rowland, Mark Coleridge and Peter Comensoli. This collection of essays combines an interdisciplinary approach to literature with an awareness of the challenges to theology following postmodern literary criticism. Publishing into our Ecclesiological Investigations series, edited by Gerard Mannion, we have Urban Ecclesiology by Pascal D. Bazzell. Bazzell takes the Filipino community which faces homelessness and makes a strong argument for the development of a street-based discipleship which can survive against the odds. 'Bazzell's study of the ecclesiology of a homeless community is exemplary of how a local theology is to be done. He provides not only insight into a specific community's faith, but also raises important questions about what it means to belong to Christ for the larger church today." -Robert Schreiter, Catholic Theological Union, USA. More than Communion by Scott MacDougall is also published into the Ecclesiological Investigations series this month. MacDougall uses the theologies of such as John Zizioulas and John Milbank to suggest a movement away from a communion-based ecclesiology which is affected by the problematic nature of eschatology. The Edward Schillebeeckx 100 Conference was held in Nijmegen, the Netherlands, in August this year. The Conference marks the 100th birthday of the renowned theologian Edward Schillebeeckx, whose 'Collected Works' T&T Clark-Bloomsbury have just published, available as a beautiful colour-coded set (see the link below). The individual volumes can also be bought separately. Anna Turton, Commissioning Editor of the Theology list, was invited to attend this event and to say a few words at the conference dinner. -- Last Friday I travelled to the Netherlands to attend the E S conference held by Radboud University Nijmegen. It was a flying visit but I am so happy that I went there. The conference was attended by junior scholars and professors who are already well established in the field of Theology, and all of those people had such a wonderful time. I have taken the names of the speakers from the program – Robert Schreiter, Sebastian Kim, Edmund Kee-Fook Chia, Siobhán Garrigan, Carsten Barwasser, Johannes Hoff, Graham Ward, Erik Borgman, Aristotle Papanikolaou, Martin Poulsom, Mary-Catherine Hilkert, Lieven Boeve, Frederiek Depoortere, Christoph Hübenthal, Michael Kirwan and Vincent Lloyd – this list of names is very impressive indeed. I was told the papers presented were all first rate and the interaction between the young scholars and the professors was very fruitful on many levels. Friday afternoon was delightful! And the Edward Schillebeeckx remembrance service was very touching and serene. We all had the opportunity to visit the tombstone of the great theologian and guess what? There is a roundabout dedicated to him as well! During the presentations of “The Schillebeeckx project” Professor Schreurs unveiled the 11 volumes of Collected Works of Edward Schillebeeckx – it was a great moment (see the picture below!). The conference dinner was very good and Stephan van Erp’s speeches were very funny. I felt very honoured to be able to deliver my very short talk during this dinner. Judging by the round of applause at the end, I think it must have gone well. The unveiling of the Collected Works of Edward Schillebeeckx by Professor Schreurs. They are available for sale here. Ted Schoof beginning the proceedings. For all the latest news regarding our titles signup for our newsletters here.